If there are any two issues that have come to define a large part of this year’s presidential race, it is drug policy and criminal justice reform. And unsurprisingly, these two issues are not mutually exclusive. Democratic candidate Bernie Sanders, for instance, has made the reformation of our “broken” criminal justice system a large part of his platform. He links this not only with current US drug policy, but also racial disparity, saying that although blacks and whites “do marijuana at the same rates,” black individuals are more likely to be charged more harshly for low-level drug crimes. This increasing number of non-violent drug offenders in turn feed the mass incarceration problem. Also, in spite of actions by former President Bill Clinton to increase prison sentences, former First Lady and current Democratic candidate Hillary Clinton has presented several reform strategies that are similar to those of Sen. Sanders. More surprisingly, however, is the number of (now former) candidates on the typically conservative right who also shareprogressive views on drug policy and criminal justice reform. Although GOP front-runners Donal Trump, Ted Cruz, and Marc Rubio support an intensification of the War on Drugs, Jeb Bush, for instance, has come out in favor of supporting treatment instead of incarceration for drug use. Kentucky Senator Rand Paul made his thoughts on squashing the drug war very clear during his short campaign. Chris Christie was himself in favor of less draconian drug laws, in large part because he experienced a close friend go through addiction. It will be interesting to see if Christie’s tune changes with his recent endorsement of Donald Trump, and much speculation that he may be Trump’s Vice Presidential candidate, if Trump goes on to win. As crucial as these issues are, drug policy and mass incarceration share a long and complex history. Therefore, it may be common for some to feel confused when politicians make a stance on these two issues. That’s why we’ve compiled this short list of milestones in the history of US drug policy and criminal justice reform. By no means a comprehensive history on the subject, this list should serve as a neat introduction for those who seek a more nuanced understanding of how these issues effect our country. At the heart of every debate concerning mass incarceration and drug policy reform is the War on Drugs, which is a large and complex topic in and of itself. However, the roots of the drug war are not hard to understand. In fact, the War on Drugs can be traced back to a single day, June 17, 1971, when President Richard Nixon officially declared the War on Drugs in a speech to Congress. During this speech, Nixon described drug abuse as “public enemy number one in the United States,” thus setting in motion a variety of aggressive policies to try and deal with the issue. In many ways, the War on Drugs was a knee-jerk reaction by the old-guard to make sense of a very tumultuous political and cultural climate. During the 1960s and 70s, the Vietnam War had cast a shadow over the lives of young Americans, who at any time could be drafted into a war that many felt was unjustified. As a result, the hippie counter-culture offered an alternative to the war as well as the old world values shared by the previous generation. One large aspect of this burgeoning counter-culture was drug experimentation. For the old-guard, drugs were a reflection of their rebellious nature and political dissidence. However, many popular drugs during this era, such as LSD, were relatively new. Therefore, due to a lack of information concerning the effects and dangers of some of these drugs, public concern grew as a result of a few alleged deaths connected to illicit substances. Without having an intrinsic understanding of these drugs or the people that use them, Nixon’s War on Drugs aimed to deal with the rebellious and possibly harmful reality of drug use by combating it in militaristic fashion. Some of the policies they set in motion included no-knock warrants as well as increasing the size and scope of federal drug control agencies. This resulted in many problems that have also fed the mass incarceration problem in the United States. 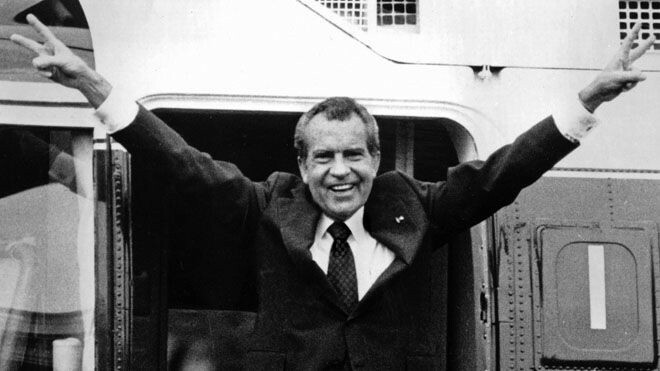 In 1973, the same year that Nixon established The Drug Enforcement Administration (DEA), New York City Gov. Nelson Rockefeller intensified Nixon’s strategies by declaring, “’For drug pushing, life sentence, no parole, no probation.” At the time, New York was dealing with an escalating crime and heroin problem in addition to high unemployment. By 1973, Rockefeller officially launched a campaign to fight drugs that included mandatory prison sentences of 15 years to life for both drug users and dealers. This was met by criticism from drug treatment experts and politicians alike, who considered these laws draconian. However, many other states around the US followed suit, passing their own mandatory minimums and three-strikes laws. As a result of these policies, the prison population has exploded from 330,000 in 1973 to over 490,000 million in 2010. The 1980s spelled bad news in terms of American drug policy and mass incarceration for two reasons: The crack epidemic and the resultant expansion of aggressive War on Drugs policies by then President Ronald Reagan. Crack cocaine was new to America during the 1980s, having first appeared in select cities at the beginning of the decade. Since it was purer and cheaper than powdered cocaine, the drug soon took off, with the number of routine crack users increasing from around 4.2 million in 1984 to 5.8 million the following year. However, the media soon latched on to the new drug and stirred up a national frenzy they dubbed the crack epidemic. The Washington Post alone ran 1,565 crack stories about crack between 1988 and 1989, and although the Scientific American compared the addictive properties of crack to potato chips in 1983, Newsweek declared it “the most addictive drug known to man.” These highly sensationalized stories about crack, which also included the highly accepted myth of “crack babies”, increased public concern considerably. 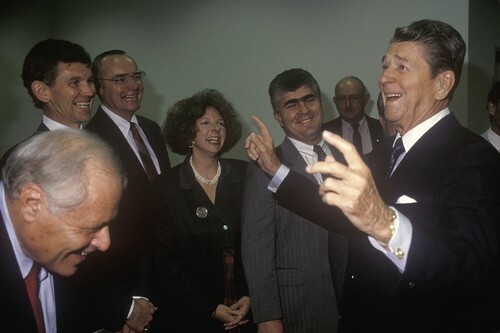 President Reagan responded by expanding many of the policies established during Nixon’s presidency. As it turned out, crack cocaine largely effected predominantly poor, minority communities in inner cities, resulting in an increasing amount of racial profiling. Mandatory minimum drug sentences were instituted in 1986 and parole was not offered as an alternative to long sentences. The only possibility for a convicted drug felon to lessen their jail time was to act as an informant against others. These zero tolerance policies and stiff sentences for drug offenders resulted in an unprecedented number of incarcerations. In 1980, a year before Reagan’s first term, incarceration rates were at 50,000. By 1997, however, rates rose to over 400,000. First Lady Nancy Reagan also spearheaded an anti-drug initiative using the slogan “Just Say No”. This was soon followed by Los Angeles Police Chief Daryl Gates’s D.A.R.E. program, which was aimed at American youths. This program, however, was found to be ineffectiveand was not even recognized by the US Department of Education’s National Registry of Evidence-based Programs and Practices until 2009. Another important factor to remember when trying to understand drug policy and mass incarceration is the concept of private or for-profit prisons. We discussed the enormous influx of people entering the prison system following Nixon’s War on Drugs and the increasing rate of incarceration under Reagan-era drug policies. Considering that the US was unequipped at that time to compensate for the flood of people that were suddenly entering the prison system, something needed to be done. What many people do not realize is that many of the prisons that were built during this period were built by private companies. In other words, the companies that built these prisons did not have the interest of the people in mind. Instead, their reasons for providing prisons for these new inmates was purely to seek a profit. How were these profits made, you may ask? Simply by maintaining the highest prison population possible. Although this may sound like borderline conspiracy theory, this is exactly how these for-profit prison systems work. The more people they have behind bars, the more money they are able to make off of them. In 2010, for instance, the two largest private prison companies made nearly $3 billion in profits. And with the number of prisoners in private prisons having increased 1600 percent between between 1990 and 2009, you can be sure that there is a lot of money in the for-profit prison system to be passed around. Obviously, with all of the money to be made by increasing the number of people in prisons, you can be sure that there is a vested interest by these companies to make sure that more people are going to jail. As we can see by the influx of low-level drug offenders who ended up behind bars under Reagan’s policies, the War on Drugs is the perfect way to fuel this kind of business. However, the impact of private prisons does not end there. Since these private institutions are funded by federal dollars, the increasing need for their services cripples the federal budget while fattening the company’s profits. This is not to mention the rights that are regularly taken away from many of the non-violent drug offenders who become prisoners. While the American crack epidemic helped intensify War on Drugs tactics by instilling a new sense of fear and urgency to combat drug use, the drug epidemic we face today has actually helped soften people’s views on drug users and drug abuse. While this is certainly a good development, it goes a long way in pointing out the possible racial undertones of the media hysteria surrounding crack. In 2013, heroin-related deaths had quadrupled to 8,260 since 2000. In addition, prescription opioids such as OxyContin now kill approximately 44 people a day. Drug overdoses currently cause more deaths than car accidents and some people are even calling this the worst drug epidemic in the history of our country. The areas that have been hit the hardest by opioid-related deaths are New England states such as New Hampshire, where there was a 68 percent increase in heroin deaths since 2013. The towns in which the most deaths occur are usually remote, rural, and most tellingly, white. In fact, 90 percent of people who admitted to using heroin for the first time last year were white. It’s true that drugs know no borders, whether its the borders of race, gender, class, or religion. But it is unfortunate to correlate the enormous racial disparity between the two drug epidemics and the way in which the media, public, and policymakers have reacted to them. Because as we’ll see in the last section of this brief lesson on drug policy and criminal justice reform, this new drug epidemic is exactly what it took for people to demand real change. We saw how four decades of unethical drug policies helped flood our private prison system with non-violent drug felons. Now that we have the benefit of hindsight and an enormous amount of evidence to suggest that these policies are not working, what do we plan to do next? Since the advent of the heroin epidemic, an increasing number of people have been pushing for more effective and compassionate solutions to combat addiction. However, unlike the aggressive backlash to drug users during the 1980s, policymakers have actually begun answering their calls. 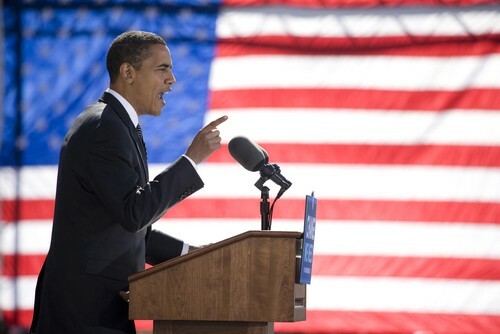 In fact, President Barack Obama himself has come forward in favor of drug policy and criminal justice reform. In a speech at the 106th annual conference of the NAACP, he stated that, “Mass incarceration makes our entire country worse off, and we need to do something about it.” President Obama made another key point by acknowledging the ineffectiveness of harsh drug charges, saying, “For non-violent drug crimes, we need to lower long mandatory minimum sentences — or get rid of them entirely.” Not only is this a historic move for a president to make, but this speech also serves as hard evidence that attitudes towards drug policy and criminal justice have come a long way in just a few years. Another more obvious advancement in drug policy and criminal justice reform is marijuana laws. Already, four states and the District of Columbia have legalized marijuana for recreational use, a move that would seem unthinkable even a decade ago. Medical marijuana is also available in 23 states and weed has been decriminalized in general elsewhere in the country. 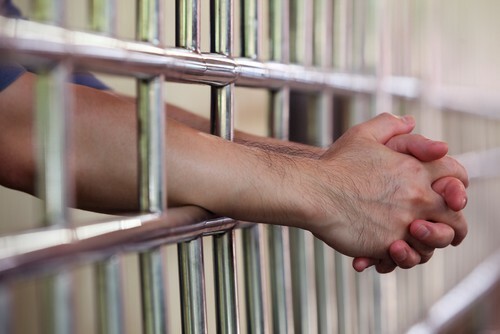 On an even more progressive front, revisions have been on certain mandatory minimum sentences. In 2012, California passed Proposition 36, which revised their controversial “Three Strikes Law“. In part, Proposition 36 only allows the Three Strikes Law to be imposed upon those who have committed serious or violent crimes. In addition, felons who were already serving a life term under the Three Strikes Law had the opportunity to petition for a new, reduced sentence if their third strike was a non-violent crime. There are also many vigilante groups who have been pushing for drug policy and criminal justice reform for many years. Perhaps the most influential of these groups is the Drug Policy Alliance, who describe themselves as “the nation’s leading organization promoting drug policies that are grounded in science, compassion, health and human rights.” They are one of the major groups that helped support Proposition 36 and they are also big proponents of harm reduction. 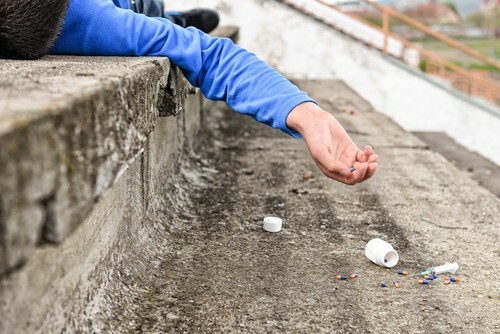 Harm reduction is a set of strategies that looks to reduce the negative consequences of drug use by acknowledging the inevitability of people using drugs. This is a strategy that has proven to be extremely successful in countries such as Portugal, who have completely decriminalized all drugs, thus resulting in much lower drug use, overdoses, and other drug related issues. With this focus on treatment over punishment, harm reduction may be one of the keys to a more compassionate and effective approach to drug policy and criminal justice here int he US.